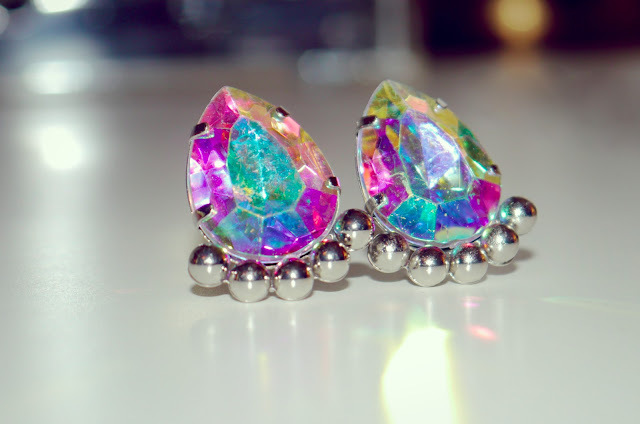 A few weeks ago, I bought these gorgeous clip-on earrings which I've been wearing a lot recently. Love the chunky colorful stone. Think they could pass for vintage :) I purchased these from H&M for just a few dollars, and it makes me so happy when I find little gems like this in places like H&M and F21 that look a lot more expensive than they are. Studded earrings like these are my favorite kind to wear because they elongate your neck and draw attention to your face - gives it a little sparkle :) And for those of you wondering, the lipstick I'm wearing is L'Absolu Crème de Mat Lipstick by Lancome in shade #300 (Magie Pourpre). and statement lips lol :) lovely! 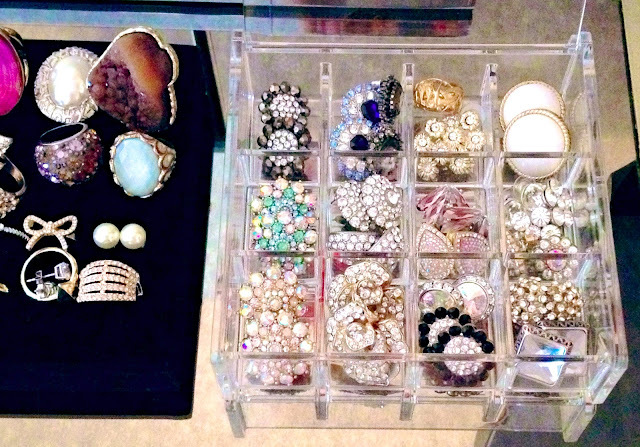 I love the earring and i want that container. I love the clear box from the Container Store. That store has everything imaginable. I will have to look for it next time I am there. 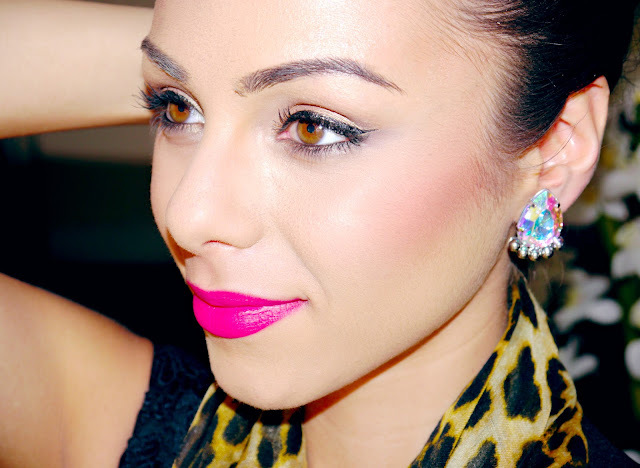 In love with these statement earrings! I really want to get some acrylic tidies, will have to find a british version! Your makeup is FLAWLESS Annie! Have a great Valentine's Day! !